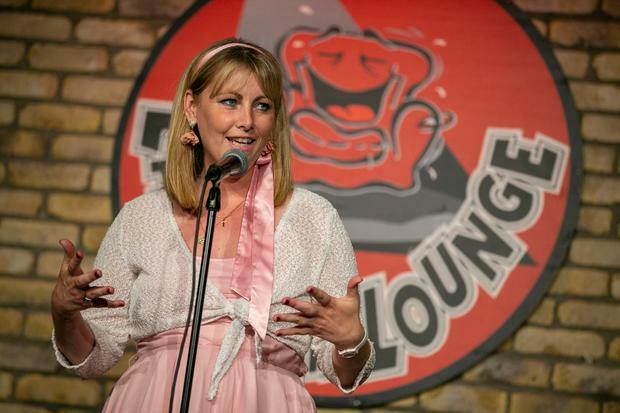 EMMA Mhic Mhathúna died without getting the kind of accountability she fought for. Two of her slides sent for cervical screening in 2010 and 2013 were misread by Quest laboratories after they failed to pick up abnormalities. She was not diagnosed with cervical cancer until 2016. Yet, although negligent error was proven and the lab admitted liability, CervicalCheck has never ordered an investigation to find out what went wrong. What contributed to these slides being incorrectly read? Were they linked to wider weaknesses in the screening system? She died without ever knowing. Even if there were not another 220 women who received wrong test results, Emma’s case alone warranted an in-depth probe to find out what went wrong and what needs to be done to reduce the risk of a repeat. Dr Gabriel Scally, who investigated CervicalCheck and produced a scathing report, concluded the labs employed by CervicalCheck in Dublin and the United States could continue to be used. But he did not have access to slides. The more extensive review of the labs by the Royal College of Obstetricians and Gynaecologists will give a clearer overview of the quality of screening, but its findings may be limited. The battle for the truth, which was started by Vicky Phelan, who went public with her High Court case in April, is far from over. Emma ended up with a €7.5m settlement but it was hard-fought. The reality is that Emma would have died and never have known about the negligence involving her tests if Vicky’s case had not come to light. Although the public political sentiments were sympathetic, the behind the-scenes legal combat was quite fierce. It all seems a long time ago now, but it was just last May that her solicitor Cian O’Carroll had to step in to prevent the defendants sending psychologists down to Kerry to question her children for up to two hours on what they thought about the impending death of their mother. Central to the case was the need for the family to secure a financial settlement which would make provision to keep all the children together and not be split up. Yet it was still €3m short up to the 11th hour in July before the final court settlement. The Scally report of last month found CervicalCheck was doomed to failure. Nobody was in charge. The labs were not visited for the past four years. Not all of the 221 women at the centre of the CervicalCheck scandal who got wrong test results are the victims of negligence. There are limitations to screening. But how difficult the State and labs will make it for them to take a legal case remains unclear. Judge Charles Meenan is expected to shortly suggest a form of mediation which would be held in private. But then there are cases like that of Ruth Morrissey, the Limerick mother faced with a terminal cancer diagnosis because of alleged misreadings of cervical smear tests. She has had to go public and liability is being challenged. The case is due back in court in January. Many more women have lodged claims and these will emerge in the coming months. An action plan setting out how the recommendations of the Scally report can be implemented is due at the end of the year. In the meantime, CervicalCheck has suspended doing audits of the test results of women who developed cancer. These need to resume as early as possible.